This page was put together by sunburst with permission from “Knives Can Talk” by Tom Kalcevic. Special thanks to you for this great addition to AAPK! This introduction into the history of Robeson Cutlery is only possible due to the hard work by Tom Kalcevic and his book “Knives Can Talk”. I am only passing along a short excerpt of information from his book and much researched hard work. The founder of the Robeson Cutlery Co., Millard Robeson , was born April 8, 1847. It is believed he was born in Cold Creek , NY. Millard F. Robeson and his successor’s interest were spread among three locations in Rochester, New York, four in Western, and two in Central New York State. Seven of the nine locations had factories, from which they operated three different and diverse businesses over a span of more than 100 years, from 1875 to 1977. The businesses were loosely organized and at times, “free wheeling” operations. But, Robeson was willing to experiment and invent, and had an obsession for putting out the very BEST product. This attention to quality allowed Robeson to hold its own against others in fiercely competitive and economically depressed times. Robeson remained in existence long after other major companies closed down their cutlery operations. Millard Robeson began his sales career backpack pedaling tin staple ware out of his home. This was the beginning of his long lasting relationship with Rochester Stamping Works, who made the tin staple ware. Before long, Millard started selling imported knives and razors from England and Germany with his name on them. Although originally only a business sideline, he became recognized as a dealer in cutlery by 1891, according to the Elmira city directory. The company was a jobbing firm, buying from importers or manufactures and selling to dealers. With high tariffs limiting imports and impacting sales, Millard was forced to have pocket knives made domestically. In 1896, he leased an existing cutlery works and labor force in Camillus, NY from Charles E Sherwood. Sherwood managed pocket knife manufacture for Robeson, Robeson’s domestic knives were well received and the cutlery trade was hungry for more. By 1898, a new manufacturing facility, 50 miles SW of Rochester, in the town of Perry was being looked at. With the nearly doubling in price of imported knives created by the Dingley Tariff of 1897 and increased demand for American made cutlery, Robeson needed to establish his own cutlery manufacturing works. By 1898, he located a vacant factory in Perry, NY, set up machinery and production. Knife manufacture by Sherwood started to be phased out. In 1901, Sherwood sold his cutlery works to Adolph Kastor and Brothers, The name Camillus Cutlery Co. was adopted by them in 1902. During the heyday years of cutlery manufacture in the US, George Robeson (son) and son-in-law P.A. Oliver were the “kingpins” of Robeson. Under their leadership, the company thrived. Counting various handle materials, 1200 different knife patterns were produced by Robeson. Less than 600 patterns were offered by larger firms. Robeson established a reputation for uncompromising quality and unique guarantees to “replace or repair the knife it proved unsatisfactory for any reason”. They often sent customers new knives when they returned abused ones. Robeson did not rely on catalogs to advertise their cutlery until after 1940. Thus company records, of what pocket knives were produced and when, are non existent for the early and “heyday” years. A sales force of 50 people merchandised directly to hardware stores nationwide. “Word of mouth” also spread Robeson’s quality reputation and guarantees. The downside of the growth of the household cutlery business was the decline of the pocket knife business. The high quality, premium pocket knife had fallen out of favor. People were now buying “throw away” type knives. Robeson placed less emphasis on producing pocket knives; going from 240 different patterns in 1941 to 72 in the 1950’s and finally 30 in the 1960’s. Robeson soon found itself and its products out of place in a world of big companies, foreign competition, and demand for more basic, non-premium cutlery. Pocket knives with the Robeson name were once again going to be made in Camillus, NY, this time by Camillus Cutlery Co. They had set themselves up as a subcontractor and supplier to other cutlery companies. In 1971, Ontario Knife Co., Franklinville, NY, bought what was left of Robeson cutlery business. The Perry cutlery facilities closed in 1972 with the Robeson line being discontinued in 1977. Robeson started its existence with kitchen and staple ware and also ended there. Ironically, domestic pocket knife manufacture returned to Camillus, NY where it originated in 1896. 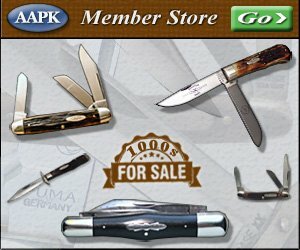 But, during the peak years from 1900 to 1965, The Robeson Cutlery Co. designed and produced one of the highest quality and undisputed BEST pocket knives ever made. Manufacturing dates and tang marks This links to a page that includes tang stamp descriptions that can be used to find the manufacture dates of Robeson knives. Robeson Knife Numbering System Like many knife manufacturers, Robeson stamped its knives with numbers that cam be used to identify specific characteristics. The page this link directs to includes information about the numbering system used by Robeson. Robeson Knife Image Gallery his link will bring you to AAPK’s Robeson specific image gallery. You will find pictures of the various patterns in a variety of different handle slabs, shields, etches and more. We urge you to upload additional pictures to this gallery if you have some!